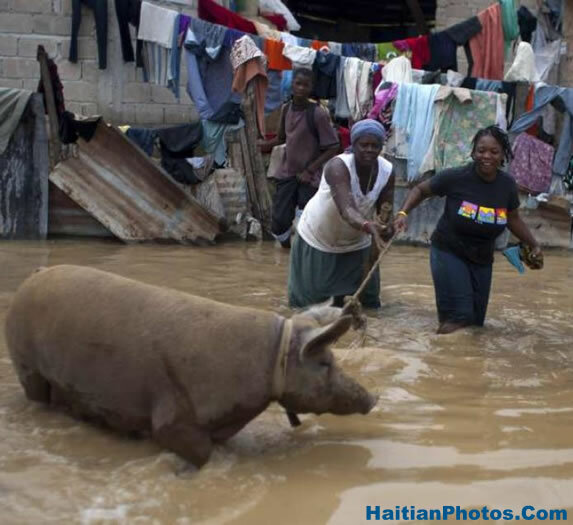 Major flooding in Haiti as thousands of families are affected. Since May 8, 2016, several departments of Haiti, including the North, North West, North East, Artibonite, West, Central and Grand Anse have received heavy rainfall. The prolonged torrential rains that lasted over 24 hours have caused flooding and extensive damages to buildings, transport and livestock. The report of a landslide was received from the Morne Puilboreau on the side that faces the Artibonite Department. The river 'La Quinte' and Blockhaus (St. Marc) in the Lower Artibonite and the drains of Ceinture Biénac were reported to be flooded. Over 215 houses in the city of Baradère were affected. Traffic on the National #2 was disturbed. The Ministry of the Interior and Territorial Communities gave warning of persistent bad weather which could result saturated soils, increasing the risk of flooding, landslides and mudslides. A depression on the eastern part of Cuba has influenced the bad weather condition in the whole of the Caribbean region. During the first week of May, Haiti and the Dominican Republic have almost erased the deficit of water caused by drought conditions since the beginning of 2015, with vast flooding that has killed four people in Haiti and five people in the Dominican Republic and displaced thousands of others. 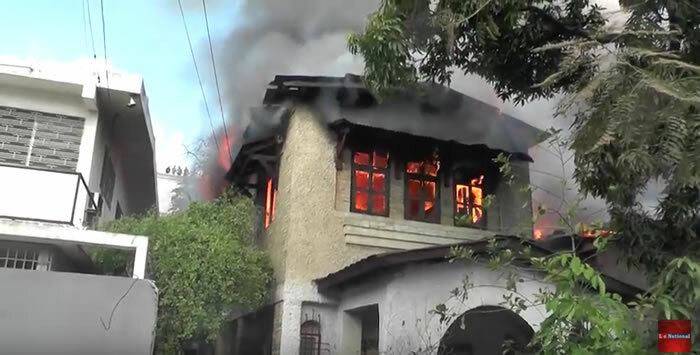 Petionville in the metropolis of Port-au-Prince, in spite of being among the wealthiest parts of the country, is not too well equipped with fire fighting services. Consequently, the intervention of the fire fighting service was inadequate. The trucks were not provided with the necessary equipments and water was insufficient. Private water trucks had to intervene as reinforcements. As per Bianca Stecker, the distraught daughter of the owner of 'Cubano', they had been complaining about the unauthorized market building for past few years, but no authority ever paid any heed to their complaints in violation of safety norms. 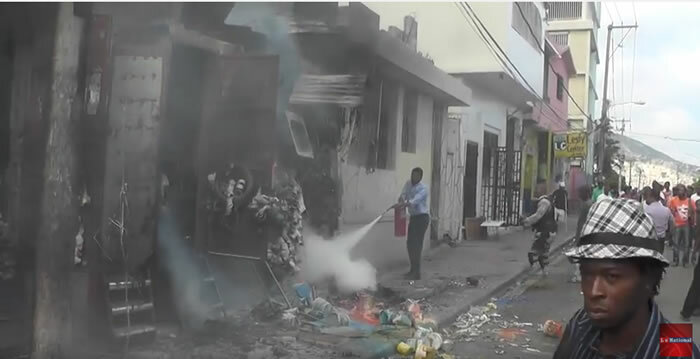 Fire in Petion-Ville, Haiti - The fire started in the morning around 8:00 A.M in a market adjacent to the 'Cubano' where stocks of inflammable construction materials were stored and it spread very quickly to the other shops in the market, and to Cubano and another neighboring house. The exact cause of the fire is yet to be known, but it could be related to an electrical short circuit which came in contact with the flammable items stored in the warehouses of the market. Damages caused by the rapid fire are of considerable amount. 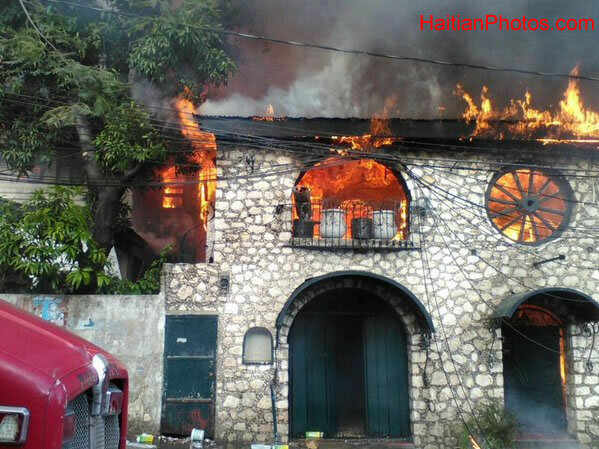 Fire in Petion-Ville - A fire in the morning of April 4th completely destroyed one of the oldest hotels in the heart of the city of Port-au-Prince at Petionville named "Cubano" which was renamed as 'The Perroquet' (The Parrot) in 2012. Only the walls of 'Cubano' remain among the charred debris. About 10 people were inside the hotel when the fire started, but all escaped unhurt. This 12-room property was the home of regular concerts and parties for promotion of traditional Haitian culture and it was an integral part of Petion-Ville's night life. The celebrated hotel gutted into fire in less than twenty minutes. Stephane Malebranche, who was in the crowd of onlookers gathered outside the gutted building said, 'Cubano' was a part of the social scene since 1970; it was an important part to end a joyful evening. 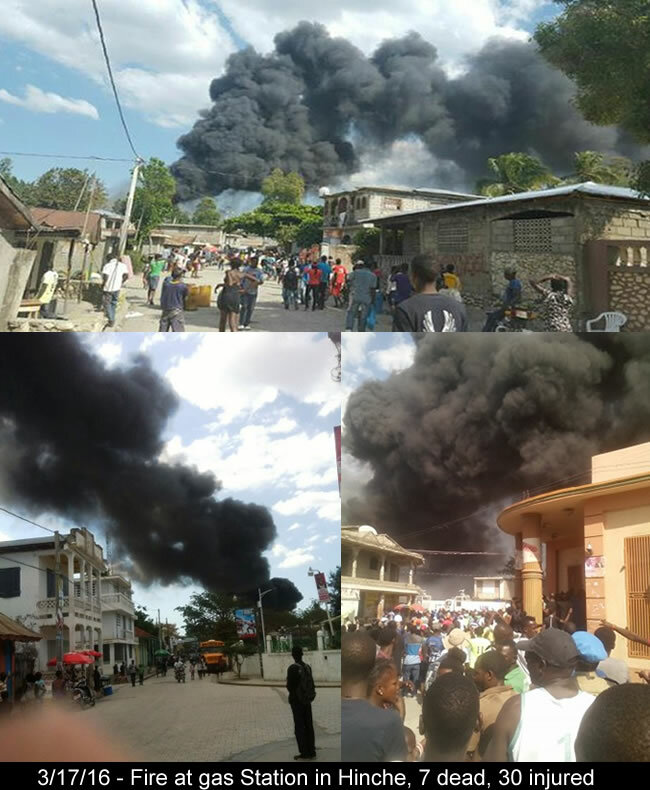 Fire in Petion-Ville, Haiti. The new Minister of Justice and Public Security Camille Junior Edouard visited the spot after a few hours of the incident and sympathized with all the victims of the tragedy. The minister had welcomed the efforts of the youth of Petion-ville that helped firefighters to control the blaze. He had reiterated his commitment about strengthening the response capacity of the National Police of Haiti and a well equipped fire fighting force. 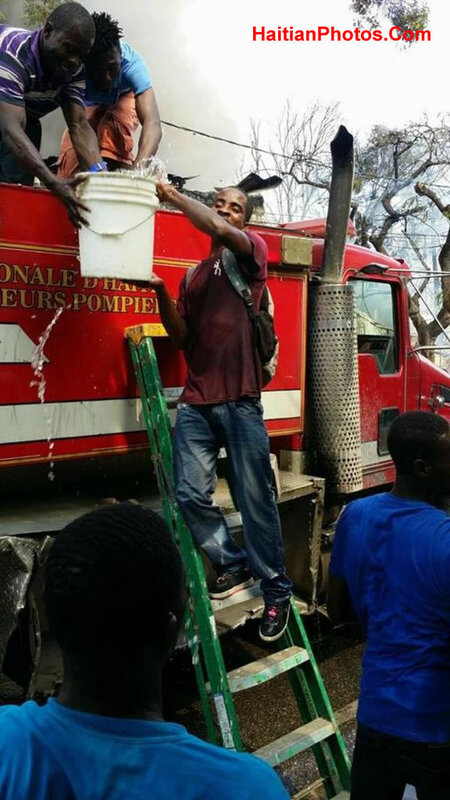 Firefighter fighting fire in Haiti by the bucket. The fire ravaged one of the oldest hotel-restaurants in the upscale hilltop suburb of Petionville overlooking Port-au-Prince. 'Cubano', a 12-room hotel was renamed as 'The Perroquet' (The Parrot) in 2012 where regular concerts and parties for promotion of traditional Haitian culture were organized and which was an integral part of Petion-Ville's night life, was gutted by the fire. The fire at 'Cubano' first broke out in a storeroom and it spread quickly, because the firefighters took over an hour to respond. About 10 people were inside the hotel when the fire started, but all escaped unhurt. Bianca Stecker, the distraught daughter of the proprietor has complained that "It's been years that we are complaining about the uncontrolled building with makeshift structure next to our hotel; it was violating every norms of safety. 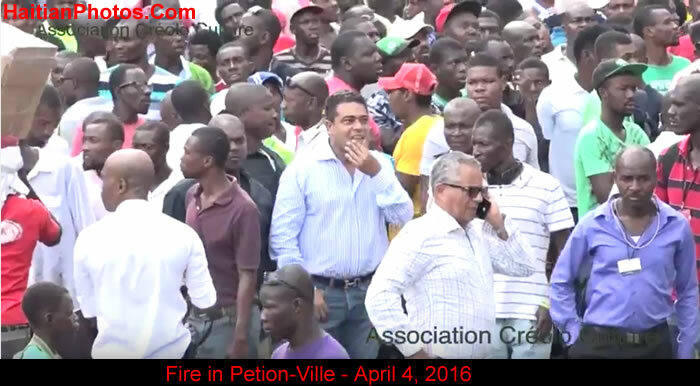 Fire in Petion-Ville - On Monday, April 4, 2016, a major fire occurred in Petion-ville. 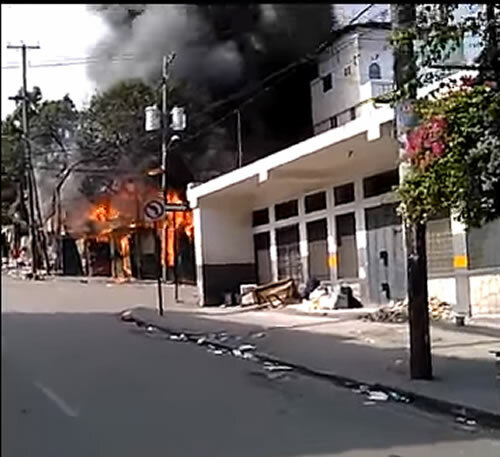 As per the Civil Protection source, around 8:00 A.M in the morning, the fire broke out at the corner of streets Lamarre and Vilatte. The fire destroyed a hotel, a house and several small shops in a small market of construction materials. The fire spreads very quickly because of the inflammable materials (paints and other flammable products) stored in the market. The exact cause of the fire is not yet known, but it could be related to an electrical short circuit which came into the contact of flammable items stored in the warehouses of the market. The local people carried water from the fire fighting truck by bucket in a desperate attempt to bring the fire under control. Petionville is the home of Haitian riches. It is a shame that there was no single fire truck in the commune. 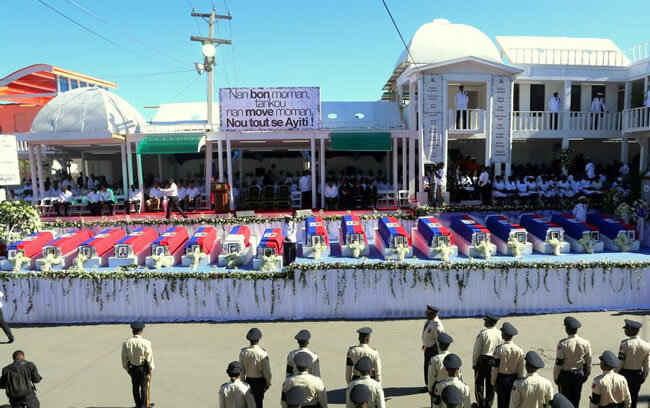 The Haitian government held a funeral for 17 victims killed in a Carnival parade accident. 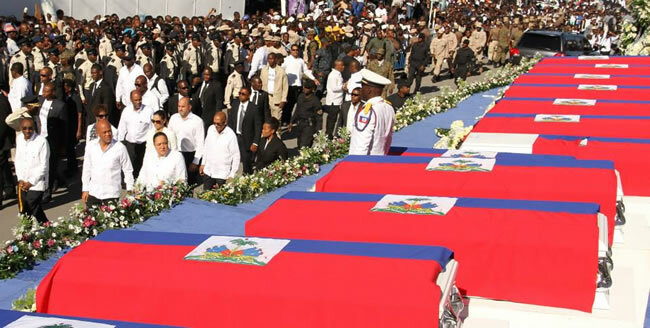 President Martelly and Prime Minister Paul consoled the victims' families and friends. Vocalist Fantom, atop a float, was struck in the head by a loosened overhead power cable, which flared, terrifying the crowd who stampeded killing many and injuring others. Critics say Carnival needs to be planned more carefully and far in advance of its celebration. The government has vowed it would produce an inter-agency report concerning the deadly incident. The government's promises aside, outraged Haitians spilled into the streets to demonstrate against government negligence that created the conditions for the power line to explode, killing 17 and injuring 76. Carnival entertainers and the deceased's family members attacked the Martelly-Paul government for its laxity in protecting the safety of thousands at the mammoth festival. The common practice of using a stick to clear overhead power lines during Carnival is stupid and dangerous, and the government needs to seriously consider installing underground power cables before the next Carnival.